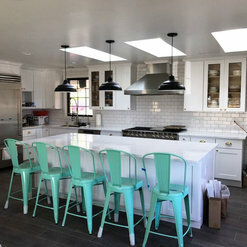 I hired Roy and his team from Future Vision to remodel my kitchen. The price was OK, I requested higher price option and I am very happy I decided to go with that option. Roy and his team were great in all aspects of work, they were quick, helpful and very patient with my requests and questions. 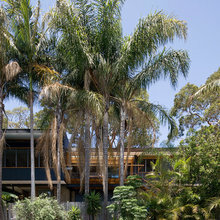 They completed a project in 40 days and that was within an estimate time. 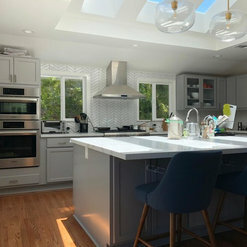 The new remodeled kitchen looks absolutely fabulous! Highest recommendation for Roy, his team and Future Vision Remodeling!! Very honest and professional contractor. 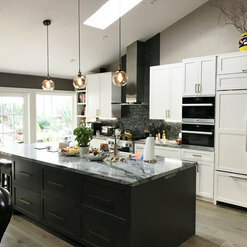 Future Vision Remodeling did my kitchen, I had special requests, wanted unique design and highest quality materials. And this company managed to complete all my requests. They made this project simple because they were so professional and well organized. 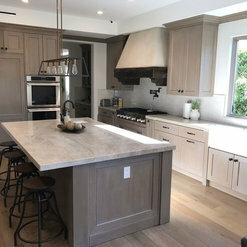 The price was more than acceptable and the project lasted exactly as estimate time. I really enjoy in my new kitchen, thank you Future Vision! 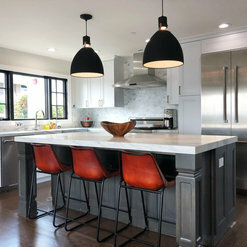 My parents also need kitchen remodeling and when they saw my kitchen they decided to hire Future Vision Remodeling!!! It wasn't a small project. I hired Future Vision Remodeling to renovate my 3 bedrooms and a living room. Ben was my project manager and he made this big project pretty simple. I knew all the time what was going on although I wasn't at town for 2 weeks. He send me very detailed information about working progress. The project lasted about 2 months and that was within a promised time. The price was OK, with no extra costs added, I can tell that for some other contractors I worked with. And the main thing, the result was amazing, they made a beautiful rooms, I am really very satisfied. 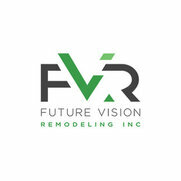 Excellent company, I will highly recommend Future Vision Remodeling! 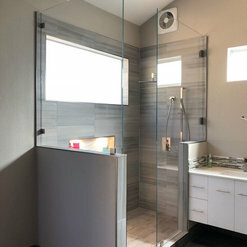 It was a time to remodel my bathroom and I can't say that I had good experience with contractors I hired in the past. So I carefully searched for reliable and trustworthy company. I hired Future Vision Remodeling based on many great reviews from their customers. When I contacted them they seemed to be very serious and gave me all details about future project. They gave me reasonable estimate so I accepted their offer. Koby with his crew arrived promptly on scheduled time. He was very respectful, answered all my questions and gave me new information all the time. 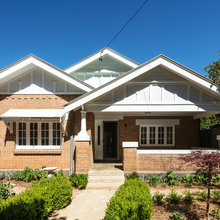 The project ended within promised time and the price stayed same. 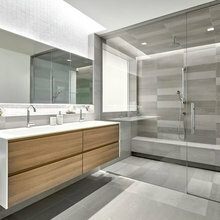 I especially liked high quality materials they used for bathroom remodeling. Thank you, I am very satisfied with new bathroom. Finally I found excellent contractor!! Future Vision Remodeling recently remodeled our old bathroom. They used a highest quality of materials and everything was like they promised at the start of the project. Ben was our project manager and it was a such a pleasure to work with him. 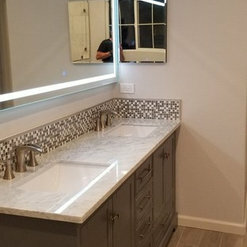 The result was amazing, perfect bathroom. Highly recommended company, we will work with Future Vision again for sure! 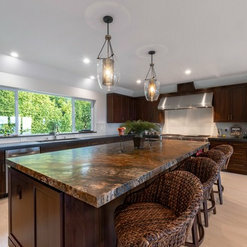 I hired Roy and his team from Future Vision Remodeling for my kitchen remodel. I had special requests about this work but Roy listened to me very carefully about every single detail to make sure that everything would go perfect. Everyone from his crew were very nice and helpful. They kept eyes on every single detail and result of that was even better than I expected. Mi new kitchen looks stunning, I can't thank enough to Roy and Future Vision Remodeling!! 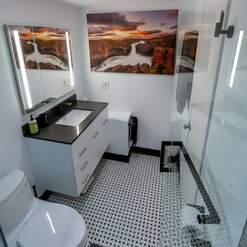 This company recently remodeled my 2 bedrooms. They were very professional and responsible, listened all my requests and gave me excellent advises. The whole crew was just great, I felt they wanted to do perfect job, they were so honest and nice. They finished a project before estimate and the price was reasonable and did not changed at the end. The bedrooms looks absolutely stunning, I can't believe they did such a beautiful work. I can't ask for more, fantastic company, highly recommend!! I had to renovate my bedrooms and a living room. 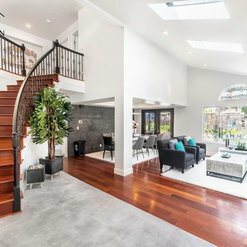 My best friend recommended me Future Vision Remodeling, the remodeled a living room at his home and I saw it so I was interested for this company because his living room is perfect. I called them and we set up a meeting in two days. Roy came to my house and gave me an estimate. He was very detailed and he offered me several solutions. The offers he gave me were very acceptable and I decided to go with one of them and signed a contract. Roy was also our project manager, he was fantastic and thank to him the rest of he crew was very well organized. The job was finished a several days before scheduled time, they remodeled my 2 bedrooms and living room and I don't gave any complaints about result. Excellent work, thanks guys, you are the best!! We are very pleased with Future Vision Remodeling and Koby, our project manager. We had them remodel our kitchen and it was right choice. The crew was awesome. they worked hard every day until it was finished. Their attention to detail was fantastic, very responsible workers. 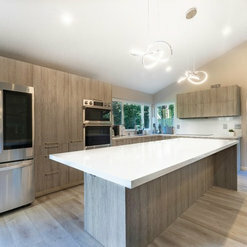 The outcome was excellent, a beautiful kitchen from dreams. Great company, 5 stars! !